Does anyone have any cake vendors to recommend? We are looking to spend $800 on 250 people. Check out www.ncbridebio.com. I was informed of this gem on TK's NC board (and the Raleigh/Durham board) and love it for local recommendations. Also, a really good bakery in the Raleigh Area is Sweet Memories Bakery - they are featured on the food channel's cupcake challenge, and have outstanding work. Here is a copy/paste of my post a while ago in the NC Raleigh/Durham board. I had done some research for my own good and felt like posting it for anyone else needing help finding cake bakeries in the area. 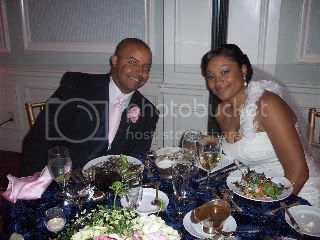 This is the pastry chef from the Washington Duke Inn and her husband -- FANTASTIC cupcakes and really beautiful cakes. This is a really cute bakery shop in Chapel Hill. Tons of great photos on their website as inspiration. This is a really great place that has a lot of variety of services, catering, etc. They also have some awesome cupcakes and do wedding cakes to your style (tiers, sheet cakes, cupcakes, etc.). They're actually so good that they're competing on a Food Network "Challenge" that will be aired on Sunday Nov 7 (2010) at 8pm. Very successful shop, I'd suggest contacting them at LEAST 6 months out from your wedding. Website suggests anywhere from 3 mo to 1 year, but it also says to contact them as soon as you can because they fill up FAST during wedding season. Just found this one through a bridal show website. Very experienced company, doesn't have a "store" per se, but does operate out of a certified kitchen. Posts "budget bride" cakes and they are beautiful as well. Lists a "secret cake" option where you get a small tiered cake for the "ceremonial cutting" but what is served to the guests is actually from the kitchen - sheet cakes, and very well -priced for the bride on a budget. I would recommend either Cinda's Creative Cakes (we are using her..she is so sweet) or Sweet Memories. We are using Cinda's Creative Cakes as well - she did my best friend's and my sister's...so yummy!!! June 2011 Siggy Challenge: Bridesmaid Dresses - but they will be in BLACK!